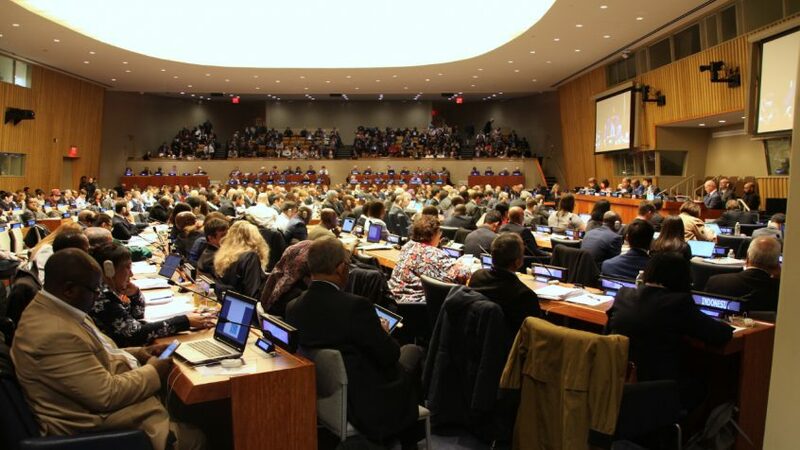 More than 120 chief statisticians and data experts from across the world joined together in a jam-packed UN Headquarters conference room, as the 49th Session of the UN Statistical Commission kicked off on 6 March 2018. At the core of the Commission’s work – to produce better data to help people around the globe live better lives. Reliable statistics are also at the core of the international community’s efforts to achieve the 17 Sustainable Development Goals (SDGs). “I greatly value the work you do in advancing statistics globally, in particular, in support of the 2030 Agenda for Sustainable Development,” said UN DESA’s Under-Secretary-General Liu Zhenmin as he opened the official session. Mr. Liu praised the work of the Commission, highlighting in particular the milestone accomplishment of establishing a framework of 232 indicators that will help measure SDGs progress. Considering the broad scope and coverage of the 2030 Agenda for Sustainable Development, Mr. Liu also pointed to the challenges that the agenda brings, and what the global statistical community needs to do to meet them. “Addressing the data challenges in the context of the SDGs require us to think outside the box. It requires leveraging modern technologies to find newer, faster, and more creative ways of doing things,” he said. “This means new data sources, new platforms, new business processes, which are solidly built on what already exists. It means being nimble, agile, and being able to do more with less. To put it simply, it means innovation,” said Mr. Liu. During this year’s session, the Commission will discuss and decide on a wide variety of data issues including the implementation of the SDG framework, open data, data platforms, big data, household surveys and statistics on refugees, persons with disabilities, ageing, climate change and economies based on natural resources. Moreover, the statistical community is also honing in on a number of topics that relates to data innovation. In keeping with tradition, the official session of the Commission was preceded by a number of side events, including the High-level Forum on Official Statistics on 5 March. The focus of this year’s forum was “Communicating data and statistics: Bringing trusted and actionable data to the public, the media and policy-makers,” convening speakers from Columbia University, Statistics South Africa, Data2X and the Economist, among others. “We do share a common belief, that our statistical information is an important component in the way we understand the world we live in, and that everyone should have a chance to form their own opinion based on statistical information,” said Joakim Stymne of Statistics Sweden, as he shared remarks in memory of late Professor Hans Rosling, renowned Swedish physician and statistician, who was able to change the perception of data and communicate numbers related to global development in a way that everyone could understand. Monday’s high-level forum featured two panel discussions focusing on how to communicate data in a more efficient way and sharing the statistical community’s work in the global political processes. Rhonda King from the Bureau of the Economic and Social Council (ECOSOC), stressed the need for political and statistical communities to “engage in on-going and regular discourse about the use, misuse and misapplication of data”.